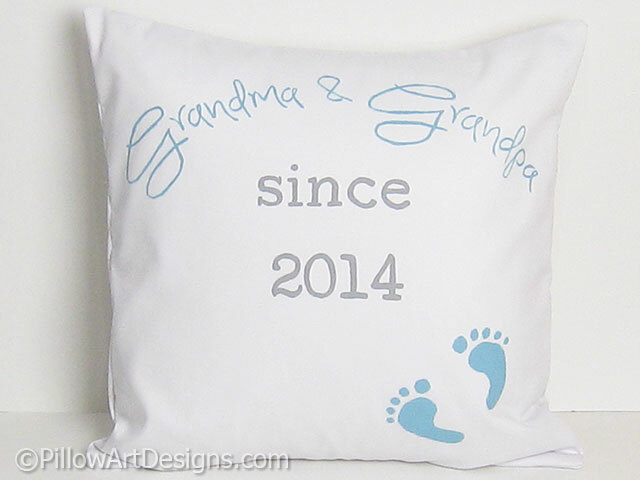 A cute and fun way to announce Grandma and Grandpa's new role or simply a fun gift for Grandparents on any occasion. 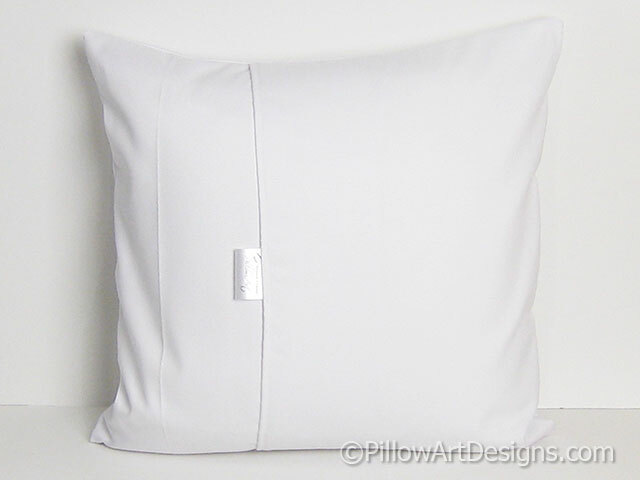 Pillow cover made to fit a 16 inch X 16 inch pillow insert (not included). Quality non toxic fabric paints used, will not wash off, flake or rub off. 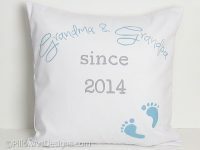 Available in soft baby pink and grey also. 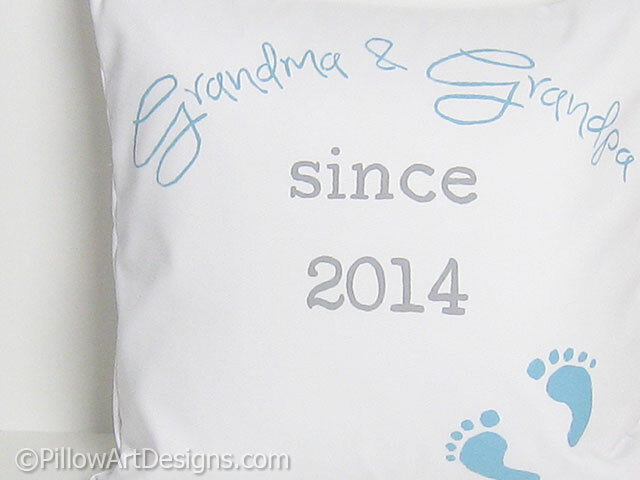 To order, purchase this listing and remember to send me the year you would like for the front of the pillow, and your colour choice.